Assemblymember Todd Gloria and San Diego Police Chief David Nisleit detailed a new state law Friday that will require people convicted of drunken driving to install an ignition interlock device in their vehicles. Gov. Jerry Brown signed Senate Bill 1046 into law in 2016 and it will go into effect Tuesday. People convicted of a DUI will have to install the device to get their full driving privileges back. According to Gloria’s office, the device is a breathalyzer and prevents the driver from starting the car if they aren’t sober. First offenders who don’t cause any injuries can choose six months of the ignition interlock or a restricted license for one year. Second offenders and first offenders who injure others are both mandated to use the device for one year. For three-time offenders, the device is mandatory for two years, while four-or-more-time offenders must use the device for three years. The state ran a pilot program of the device in Alameda, Los Angeles, Sacramento and Tulare counties beginning in 2010. 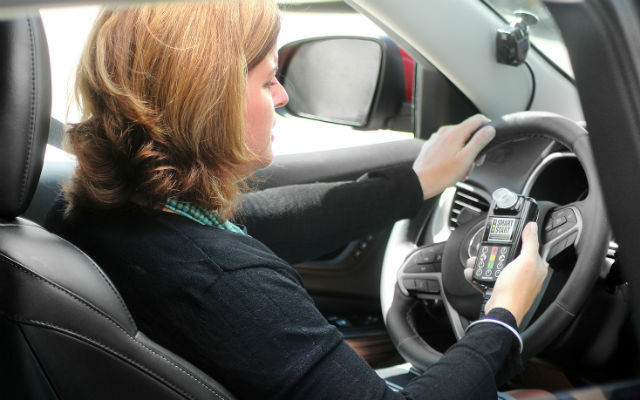 According to a study of the program by the California Department of Motor Vehicles, first offenders were 74 percent less likely to become repeat offenders after using the ignition interlock device. Drunk drivers kill more than 1,000 people each year, according to Gloria’s office and the California Highway Patrol, and injure more than 20,000. In San Diego County alone, law enforcement officers arrested 59 people for drunken driving during last year’s New Year’s holiday weekend.